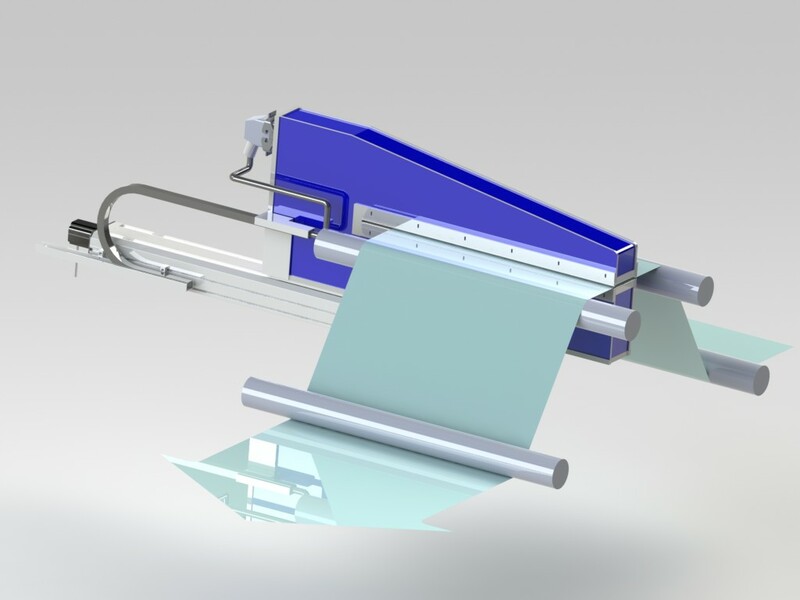 Measure Adhesives & Coatings on Plastic Film | SolveTech, Inc.
An Easy, Repeatable, and Precise Way to Measure Uniformity. 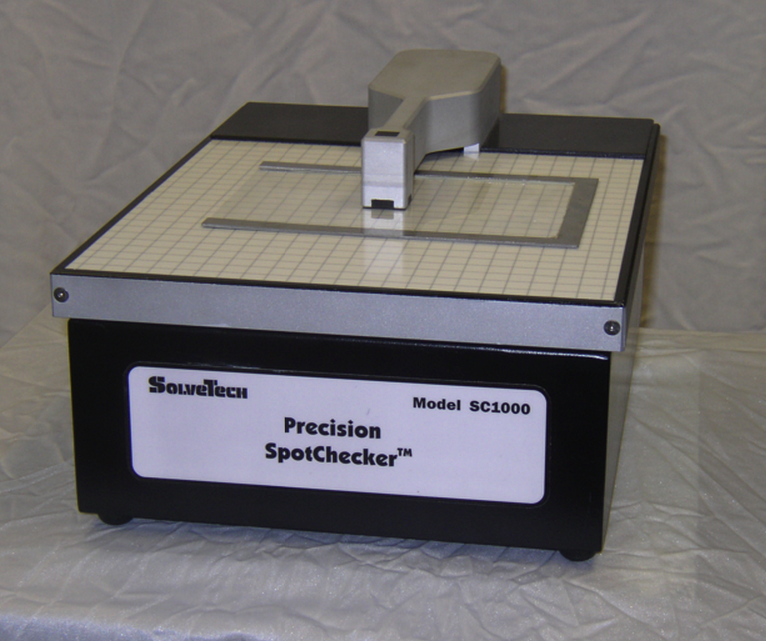 SolveTech’s thickness gauging technology can be calibrated to measure the thickness or basis weight of adhesive coatings on plastic film or paper. The technology is highly accurate and does not contain any nuclear or x-ray hazards. Simply zero out the reading from the substrate to measure the adhesive thickness only. SolveTech’s proprietary capacitance based technology measures adhesive uniformity with higher accuracy and repeatability than anything else on the market. 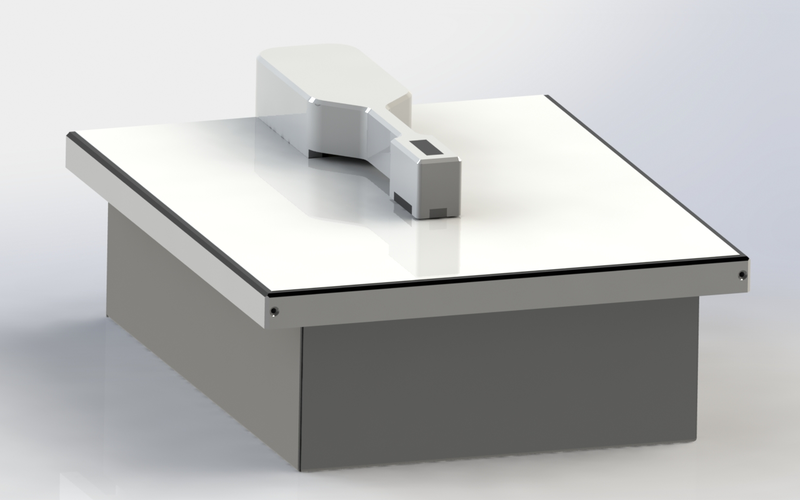 We offer both on line and off line systems for measuring the thickness/basis weight of adhesives on plastic film and paper. The SC1000 is featured in the video above measuring adhesive on tape. Simply place the material under the gauge head and get a reading of thickness or basis weight. The “U” frame we provide makes it easy to handle sticky materials. The MultiChannel Array Gauge measures paper like nothing else on the market. Great for webs less than 60 inches wide. 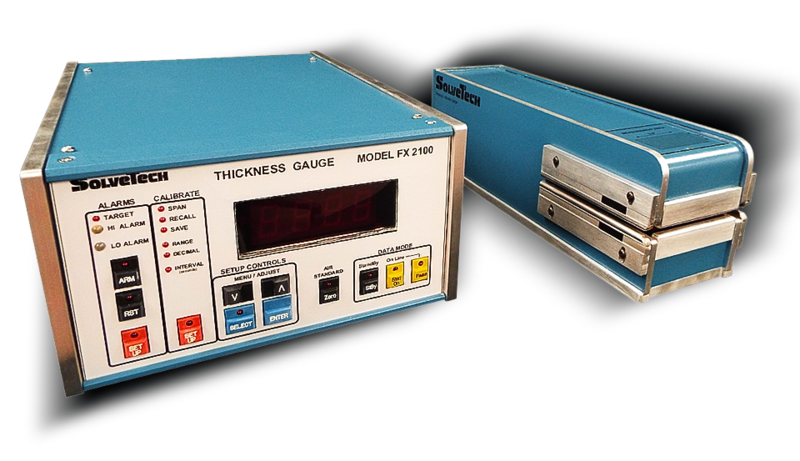 This gauge can be customized to measure adhesive lanes on a web or to do complete coverage. The FX2100 allows you to check a single spot on your web. Great for a reference on how much adhesive you are putting down. Sizes and footprints are customizable. Contact us today to have a technical discussion regarding measuring your adhesive on line or off line.